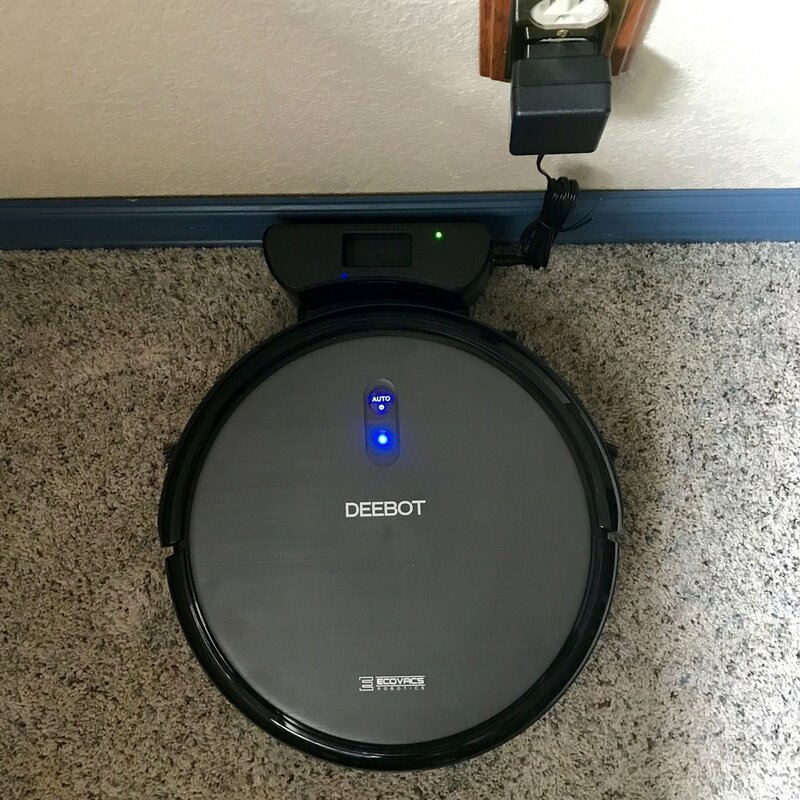 Last August, I reviewed the Deebot N79 from Ecovacs, an iPhone-controlled robot vacuum with a bargain price and excellent cleaning capabilities. It gained a 5-star rating here on Apple World Today, and is still cleaning my floors -- carpet, hardwood and tile -- perfectly. The $225 Ecovacs Deebot N79 seemed like the perfect, fairly-low-cost robot vacuum, until Ecovacs updated the N79 to become the $250 Ecovacs Deebot N79S. What's the difference, other than the addition of the letter "S" to the name? Alexa connectivity. The vacuum itself hasn't changed at all. It still has a 3-stage cleaning system with 4 specialized cleaning modes, a 1.7 hour battery life, it's still one of the quietest robotic vacuums I've ever used, and all in all it still cleans very well, storing dirt in a roomy bin. As far as I'm concerned, it's still worthy of a 5-star rating. The difference is that I can now set up an Alexa "skill" and get Amazon's AI to cooperate with the Deebot N79S to vacuum my floor or start charging itself. The skill, which you can find here, doesn't have a very good rating on Amazon, only 2.5 out of 5. I found it to work about 75% of the time, which was pretty darned good. Since I am not a fan of the Amazon Echo's tendency to listen to everything you're saying and transmit it to Amazon's servers, I am currently using a JAM speaker with Alexa that I tap to enable "hearing". "Alexa, ask Deebot to start cleaning"
"Alexa, ask Deebot to stop"
"Alexa, ask Deebot to start charging"
As I mentioned, the skill worked about 75% of the time. I'm not sure why it failed the other 25% of times that I asked, but it still works pretty well. However, I really wonder why Ecovacs hasn't enabled HomeKit compatibility if they've been able to do so with Alexa. Apple no longer requires hardware authentication chips in HomeKit-compatible devices, so there should be no reason to not hook up to Apple's home automation framework. I also think that Ecovacs needs to add some "smarts" to the skills available to the N79S. It would be nice to have an N79S in a particular area (like near a cat litter box) and be able to ask it to do a spot cleaning of that area, which takes only about three minutes, rather than clean the entire room. As a robotic vacuum, I give the Ecovacs Deebot N79S a 5-star rating. As a connected robotic vacuum, however, I'd have to lower that rating to 4 stars due to the lack of HomeKit compatibility and the limited skill set for Siri. Be sure to check out the original review from August of 2017 for a detailed idea of how well the Deebot N79 works.